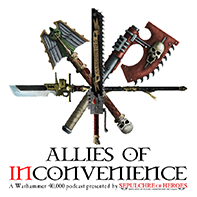 Back with my continues coverage of Adepticon 2019. Check out part 1 here where I talk about my first impressions of A Song of Ice and Fire game, Horus Heresy Knight Fight, and the Kings of War Big Battle. I skipped my first game to sleep and paint that day. It was an ASoIF even, but only cost me $5, and I made the better decision considering how late I stayed up to finish for the 40k team event the next day. I did make it to my second game, which was ASoIF Assault on Kings Landing. What made this game extra fun was it was ran by the game's designer. He had a really cool mission put together where the 8 players (mostly Starks and Boltons) fought his Lannister Army. I was that little green blob of Wildlings led by Tomund Giantsbane. Not the most accurate thing, but awesome of him to let my do that when asked who my favourite character was when he realized he didn't have enough units set up for us. He also had a constant narrative progression happening. AND BRIBES. He'd bribe up with free models to do certain actions. But I live and died as the Free Folk should and took no bribes, submitting to no King (it also let people more invested in the game get the cooler swag). In the end we slew Joffry anyway, so it all worked out. After that I played a super aweome large scale game of Space Hulk. 6 marine kill teams (BA - my team -, DA, BT, Ultras and 2 DW) had 11 turns to stop the GSC from lighting off a beacon to summon the hive fleet. The 4 Marine players had secondary comms objectives that gave the Imperials 1 more turn for each up. There were also 2 power gerenrators for the DW, that each reduced the beacons health by 25% when destroyed. We managed to get all the secondaries and finish the game in turn 13. Only 3 Marines made it to the central area, my BA Captain, the DA one and the BT one. I was also the first to take out their comms relay, first into the central chamber, damaged the beacon and slayed the Patriarch once before he got back up and killed me. Still over all success in what the event coordinators said was the deadliest game to marines they had seen in a while. After that I just went and painted to be ready for the next day and then got some Giordinos and did the 40k team trivia event, which was rougher for us this year without our resident Chaos expert. And with that I leave you will some bonus pics of some Star Wars Legion tables I checked out while waiting for my first game to start. Welcome to the home of the 9th Legion. 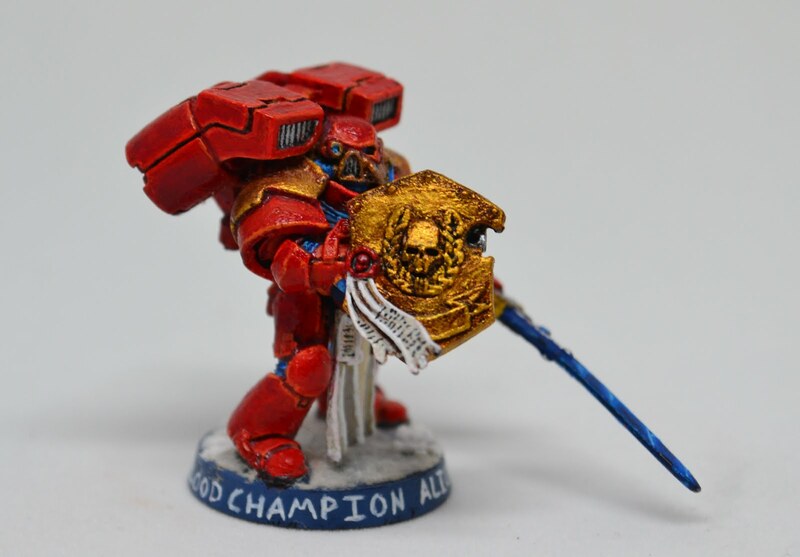 The Sepulchre of Heroes is the final resting place of the greatest champions of the 9th Legion, the Blood Angels. Inscribed above the entrance is the epitaph "Drink deep of victory and remember the fallen," in honour of those within. But here, it is just a Warhammer 40,00 Hobby, Fluff, and Tactics Blog. New Forge World Releases ? SPOTTED! Visit Gothmog's profile on Pinterest. Thought for the Day: For he that sheds his blood with me shall be my battle-brother eternal. 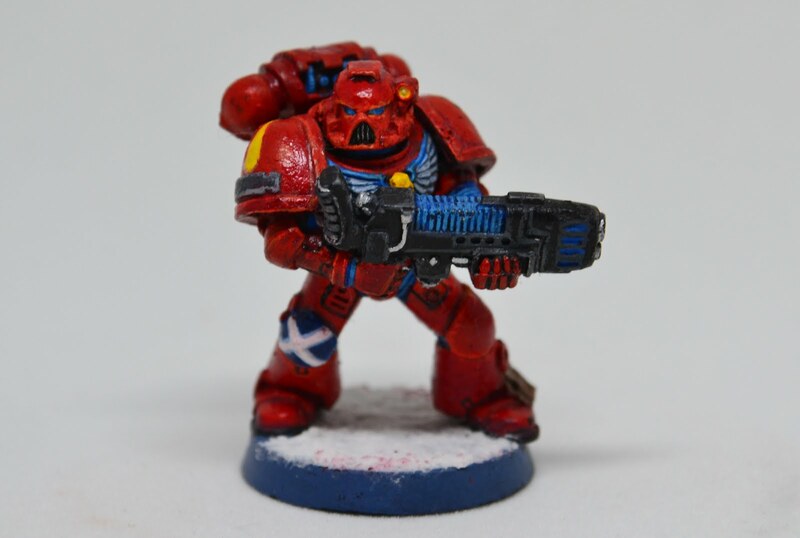 Warhammer, Warhammer 40,000 and its associated images and logos, including but not limited to the Blood Angels, Imperial Aquilla, Space Marines, Lizardmen, Necromunda, Battlefleet Gothic, Blood Bowl, Citadel, Forgeworld, Black Library, Age of Sigmar etc. are all copyrighted and the intellectual property of Games Workshop. All are used without permission intended solely for the use of entertainment and discussion and are the intellectual property of their rightful owners. Oh, and according to blogger "European Union laws require you to give European Union visitors information about cookies used on your blog. In many cases, these laws also require you to obtain consent." If you are using this site, consent it implied. If you don't consent, stop. In fact, stop using the Internet, because if you don't understand what a cookie is or are afraid of them in the year 2015 and after, you really don't belong on this new-fangled "world wide web". Way to go EU, you passed a law equivalent to requiring hospitals to ask new born babies "If you are going to live on planet earth, you will breath oxygen. Do you consent? Y or N?"